Dr. Jack L. Green faithfully served as the pastor of Landmark Baptist Church of Fort Worth for twenty seven years. 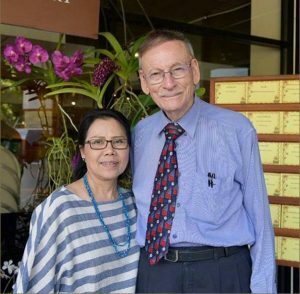 However, after much prayer and seeking the Lord’s will in the matter, on Sunday morning, May 11, 2008, he resigned the pastorate to go to Chiang Mai, Thailand as a missionary. Dr. & Mrs. Green are sent out by the authority of the Landmark Baptist Church of Fort Worth, TX. The Landmark Baptist Church and I consider it an honor and privilege to wholeheartedly recommend Dr. Green to you as a missionary to the people of Thailand. They are working to reach out to the over 20,000 English speaking inhabitants of Chaing – Mai and build a Sovereign Grace Baptist Church in the city. The Trinity Baptist Church is currently meeting in the conference room of the C. H. Hotel 10 Soi 8, Charoenprathet Road, Muang, Chiang Mai.